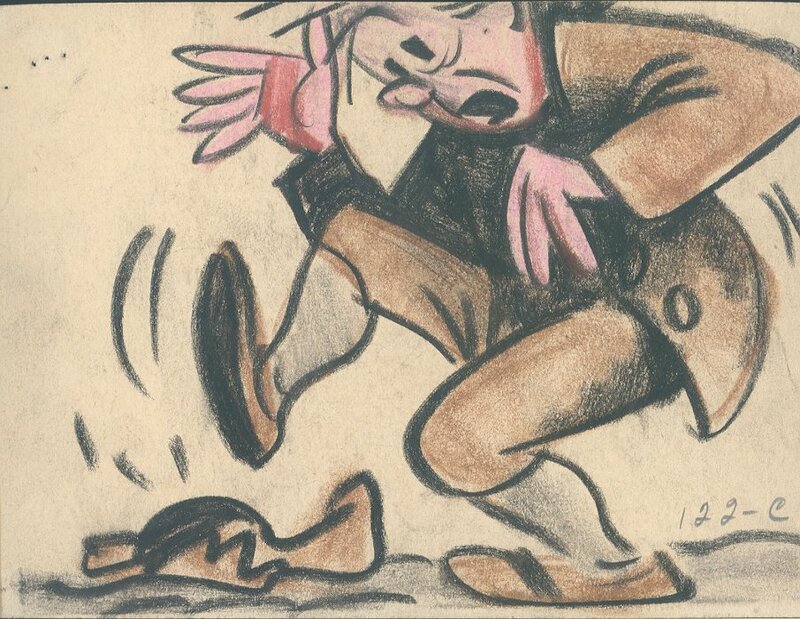 This is a wonderful storyboard panel featuring Ben from Ben and Me (1953) drawn by Bill Peet. The storyboard paper measures 4" x 5.25". There are pin holes on the corners and top of the paper.